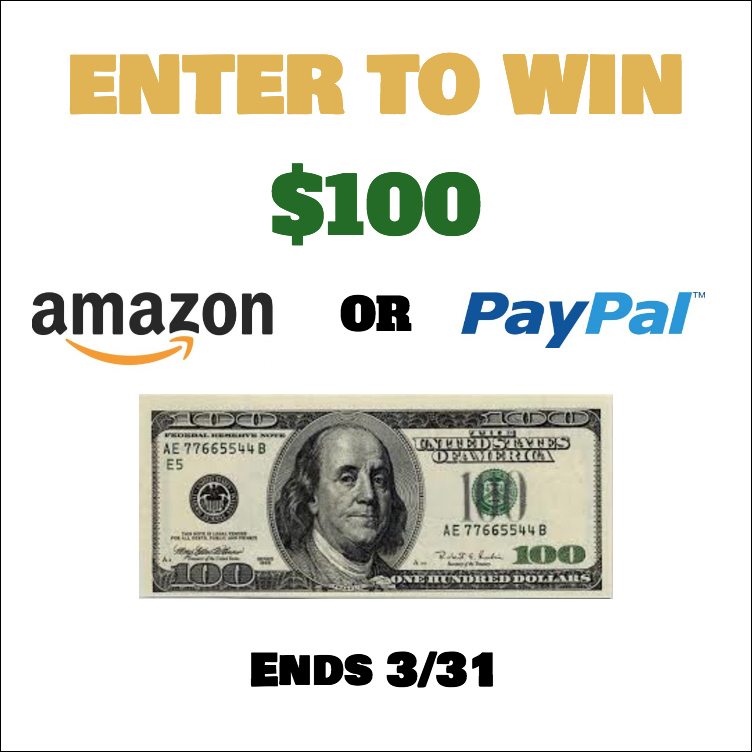 Enter to Win $100 Paypal Cash or Amazon! Happy St. Patricks Day all! Today is the day to Enter to Win $100 Paypal cash or Amazon Gift card!! We have been super busy with cardiology appointments with Alicia and my post have been lacking lately. I apologize for that but the kiddo comes first and my writing passion comes second! Thank you all for your patience and good luck winning $100!! Have a great weekend all!! How to enter: There are 20 Twitter accounts to follow and each is worth one entry into the giveaway. Follow all 20 for 20 entries into this giveaway! If you’re already a follower of an account, claim that entry! This giveaway starts March 17 at midnight EST and ends March 31 at 11:59 PM EST. Entrants must be USA residents and at least 18 years old. One winner will be randomly selected from all qualifying entries and contacted via the email they provide. The email will come from joannegreco at gmail. The winner has 48 hours to respond or a new winner will be chosen. The prize is $100 in Paypal or Amazon online gift card, winner’s choice.